As a boy I ever ever wanted the Hilux 4x4 but I can't afford buying it. 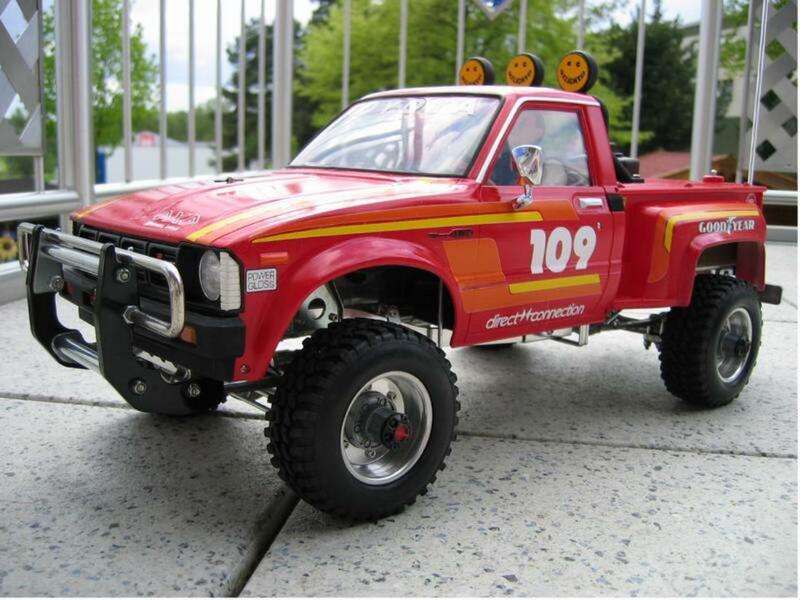 I instead bought the Ford Ranger - also a very good RC. 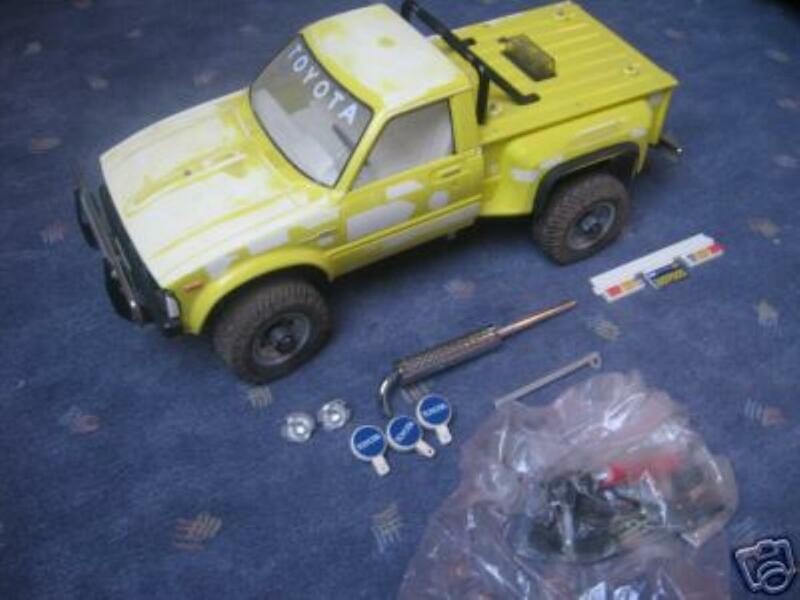 In dezember 2007 I found a used Hilux in 'desolate' condition on the bay and won it! It took me several weeks to do the full resto job. The car was complete disassembled and every piece polished. Then put together with a new srew set. But, no! I drove it only a few meters indoor to check if everything works well and then put it in my show case. A friend of mine did the paintjob and today I put on the repro-decals from TC. They are very suitable. Vintage rc at his best,lovely. Great job! I would love to get my hands on one of these, too. From horrendous to gorgeous! Excellent job! !